Our fully furnished Serviced Apartments with a fully equipped kitchen and living area and study offer you a wonderful living experience in style and elegance, right in the heart of Heidelberg. Up to 4 people can feel at home for longer stays in each apartment. You may use our free WIFI login (min. 6 Mbit/s). Your valuables wil be secure here. And you can also charge your laptop and phone inside it. Rooms cleaned once a week and upon check-out. You are welcome use the Panorama Spa Club of the hotel. From the apartments, It is very easy to reach not only the gym, the pool and the sauna, but also the beauty and wellness areas of the hotel. 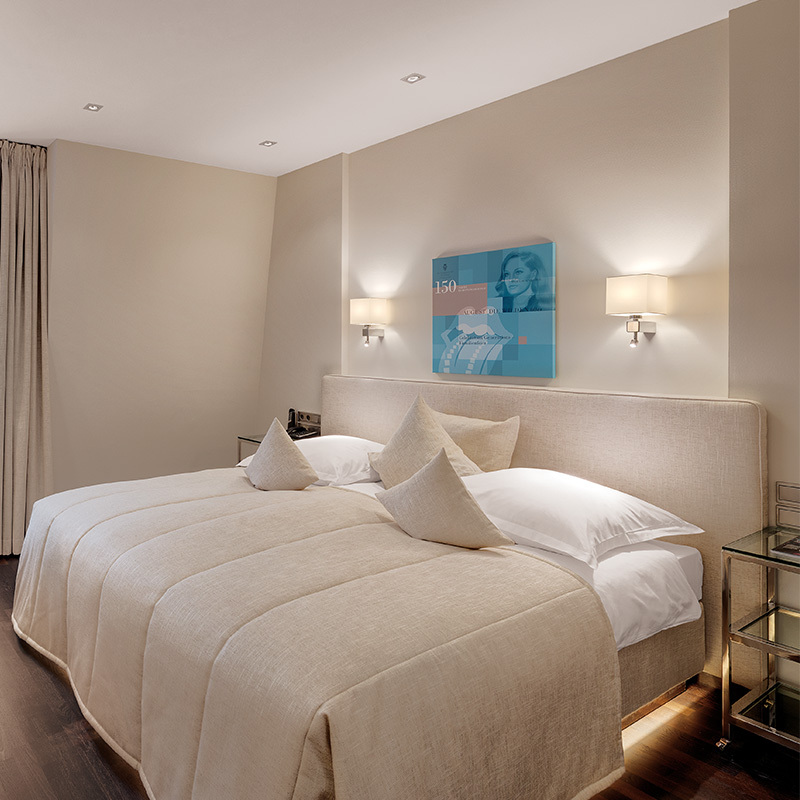 Use of the pool, sauna, sanarium and the fitness area is included in the rates for the Serviced Apartments. 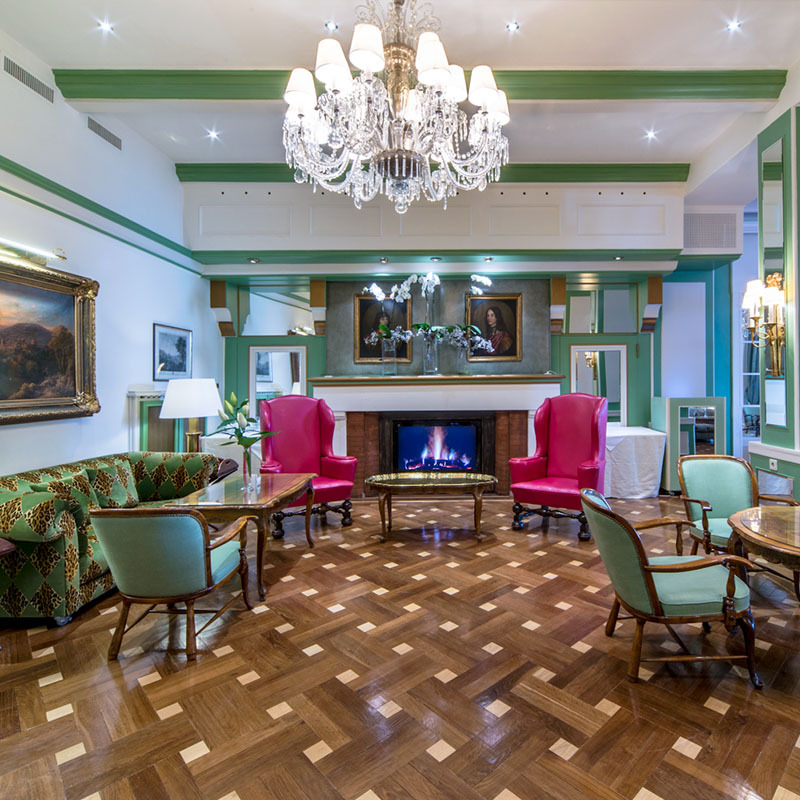 Apart from the restaurants and the bar of the Europaeischer Hof Heidelberg, you may also make use of its other public facilities, such as the lobby or the chimney room. Our colleagues at reception are also at your disposal for any questions or wishes. 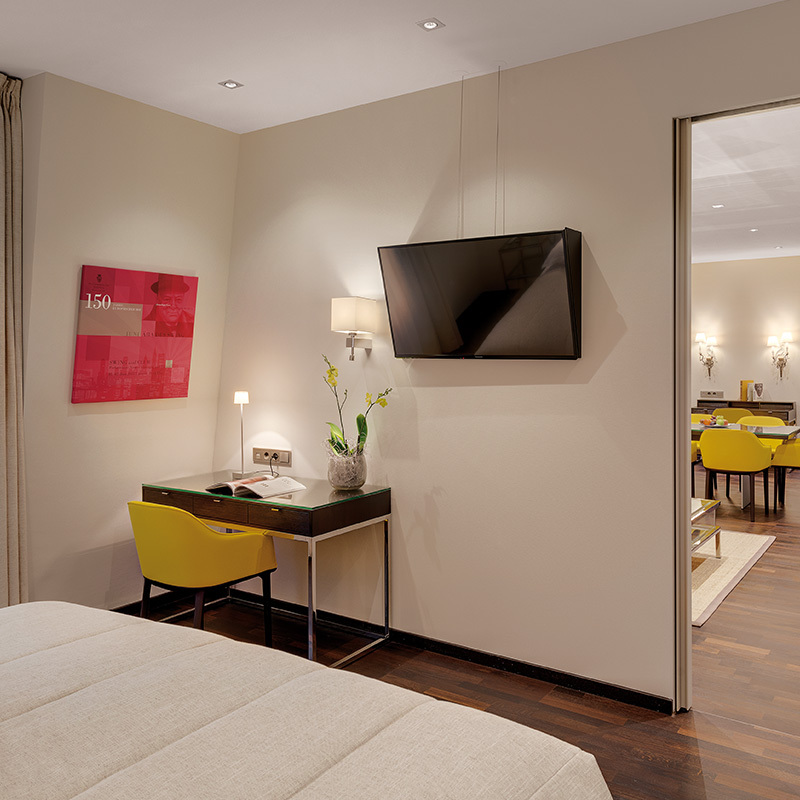 Additional services at the superior 5-star hotel Europaeischer Hof Heidelberg can be booked individually (for example extra cleaning, laundry service, butler service etc.). Please contact our colleagues at the reception with any such wishes. Booked apartments are ready from 3:00 pm on the day of arrival until 12:00 noon on the day of departure.